Project 22350 frigates are ships of the far sea zone, carriers of high-precision weapons. 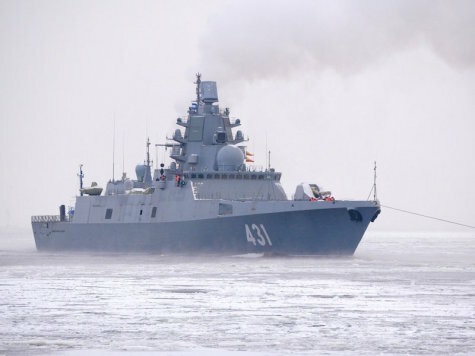 They are effectively operated both individually and as part of groups of the Russian Navy. Frigate is 135m long, 16m wide with displacement of 5,000t. The cruising range is 4,500 nautical miles, endurance is 30 days. The crew is about 200 sailors.